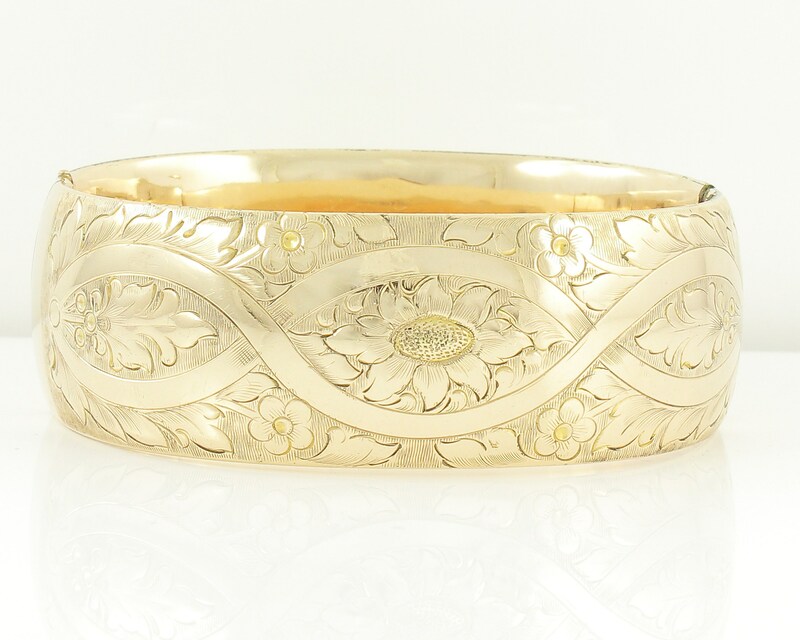 Antique Victorian Wide Hinged Bangle Bracelet with Floral Engraving. 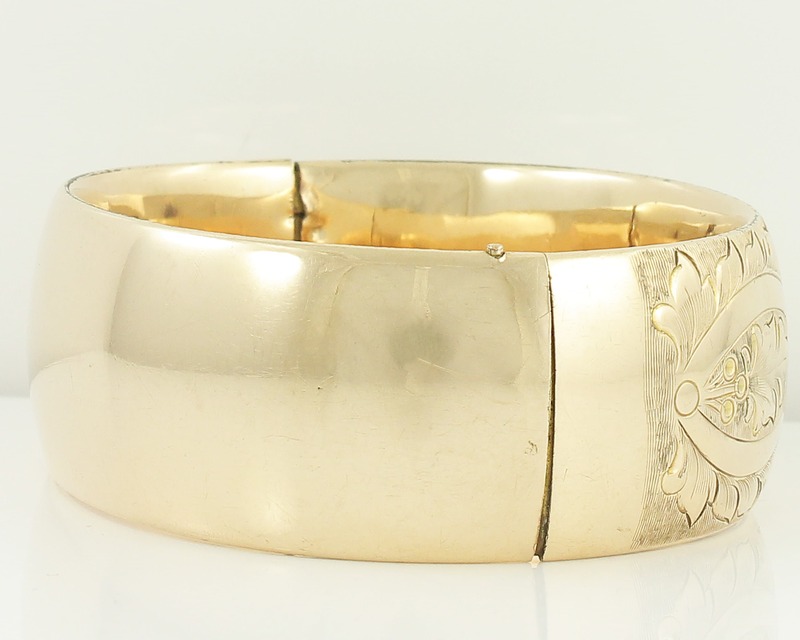 The bracelet is made with a 12K Gold Shell, as marked on the inner back panel. 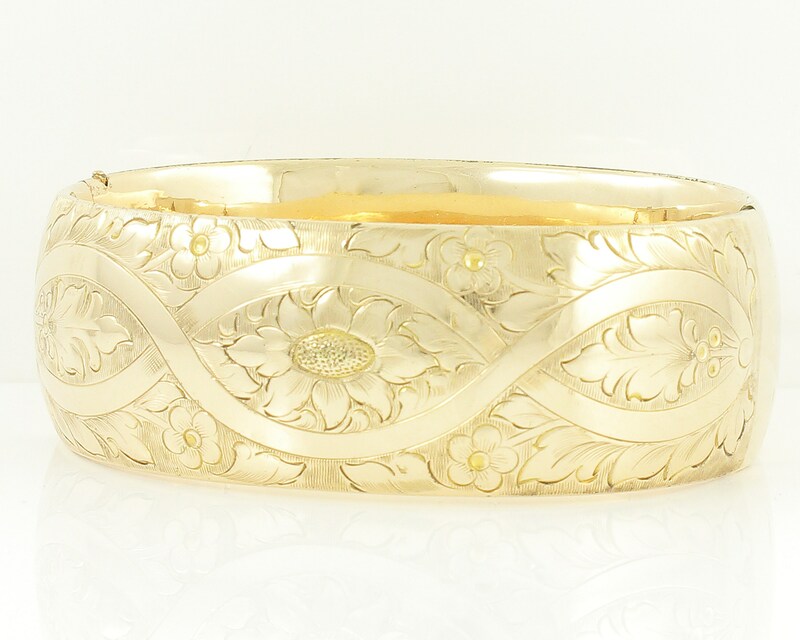 The full mark is Gold Shell 12K F & C. Co. Engraved with lovely flower, leaf, and loop design on front, the bracelet is till very wearable. It has a push button release and though there is some gapping at the hinge and clasp, it fastens tightly and securely. 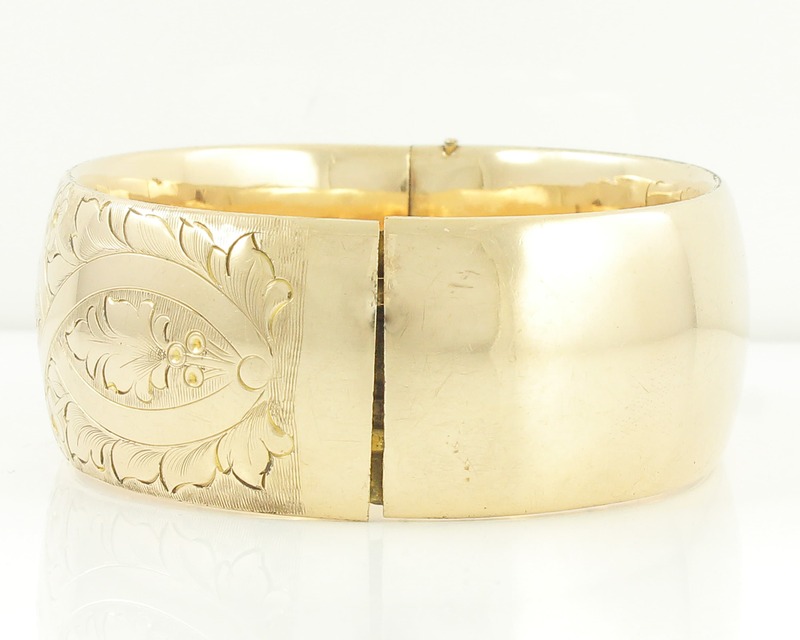 There is an area on the inside where it appears someone once pried it off a wrist. 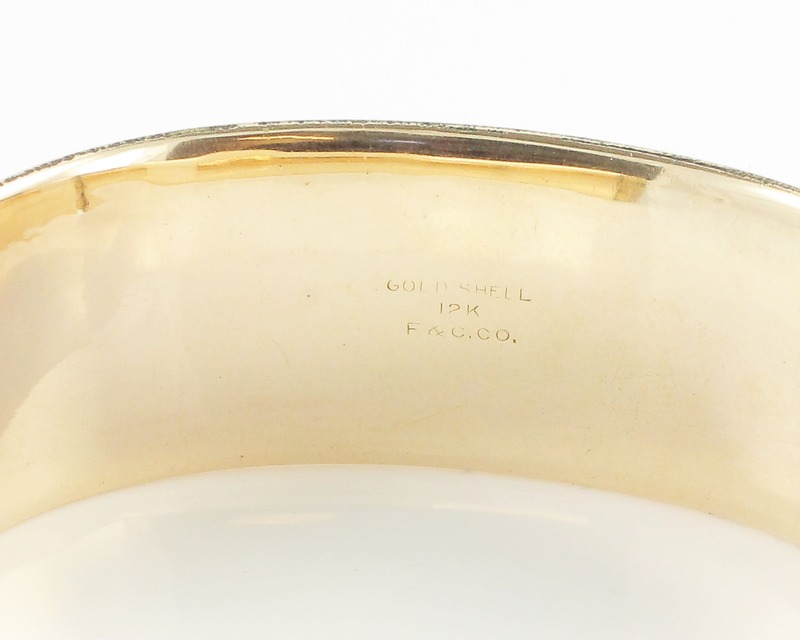 HALLMARKS/HISTORY: Gold Shell 12K F & C. Co. 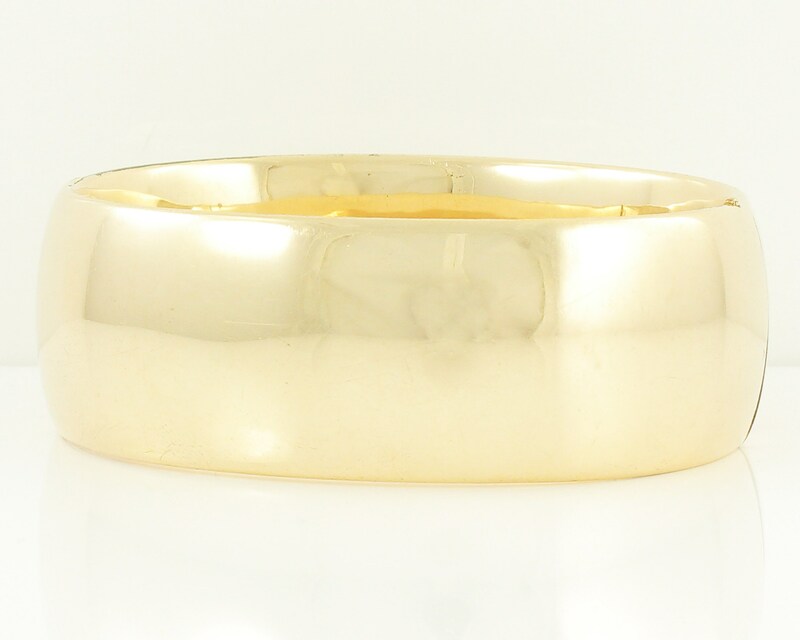 CONDITION: Fair to Good Vintage Condition, with some minor wear to edges and gapping at hinge and closure. 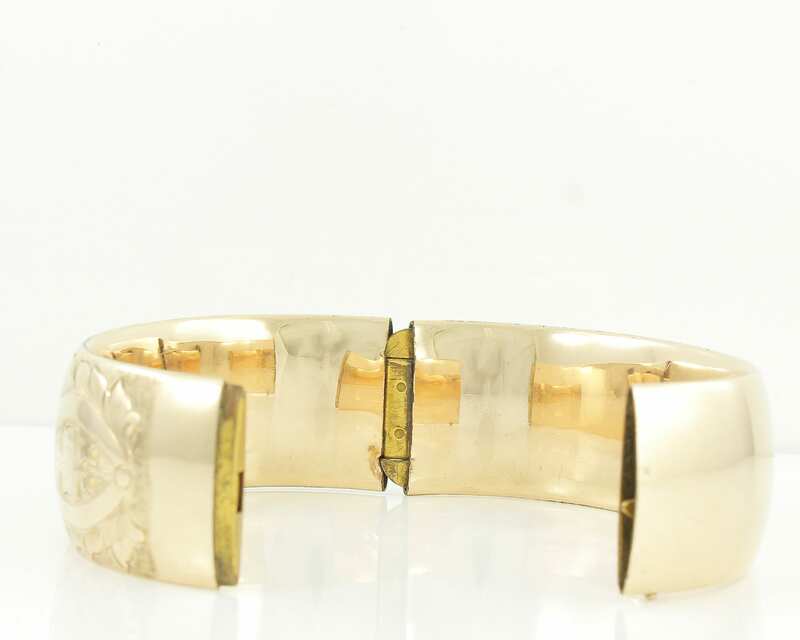 The bracelet clasps tightly and securely, despite the gaps seen in the photos.